August 30, 2012  Targeted killings of Afghan leaders are up by 53 percent compared to last year. 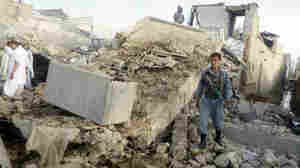 Such attacks are the efforts of a desperate Taliban, Afghan officials say, but they acknowledge that they hamper their ability to govern and provide services. August 20, 2012  NATO says a man in an Afghan police uniform shot and killed an international service member in southern Afghanistan on Sunday. He was the 10th U.S. service member killed in so-called "insider" attacks this month by Afghans in uniform or others with access to NATO bases. 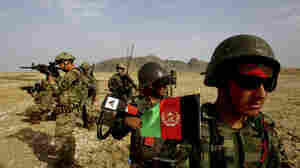 August 17, 2012  A few years ago, it was rare to hear of assaults by men in Afghan security uniforms against NATO troops. 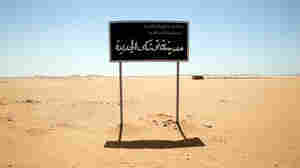 But this year, such shootings account for more than 10 percent of the deaths among coalition troops in Afghanistan. Some are carried out by Taliban infiltrators; but others appear to stem from personal disputes. July 10, 2012  Fifteen years ago, Egypt's Hosni Mubarak embarked on a grand project to cultivate farmland in the desert and create new towns. But massive projects like Toshka in southern Egypt have languished due to mismanagement, corruption and Mubarak's ouster. June 20, 2012  Former Egyptian President Hosni Mubarak is said to be on life support after suffering a stroke in prison. Meanwhile, demonstrators are still gathered in Tahrir Sqaure protesting moves by the interim military government to seize power. June 18, 2012  In Egypt, Mohammed Morsi of the Muslim Brotherhood seems headed for victory in the presidential run-off election. But the latest announcements from the Supreme Military Council could strip him of most of his power. June 18, 2012  Over the weekend, Egyptians completed voting in their historic presidential election. The Muslim Brotherhood has declared its candidate the winner, but official results are days away. June 16, 2012  Egyptians began two days of voting to elect the nation's first president since the ouster of Hosni Mubarak. The polling comes days after an Egyptian high court dissolved the country's first freely elected parliament and the election now reflects the deep divisions in the country that has been unsettled since its revolution last year. June 15, 2012  Controversial court rulings on presidential and parliamentary elections sparked protests Thursday. Many in Egypt worry that this brings to a head the battle for power between the country's ruling generals and the main Islamist party, the Muslim Brotherhood. June 12, 2012  The presidential run-off in Egypt has deteriorated into a nasty debate over whether the country should have an Islamist government or a Mubarak-style regime. Each of the candidates is using scare tactics to draw voters to their side. June 4, 2012  Protests continue against the court rulings on former President Hosni Mubarak. A panel of judges sentenced Mubarak and his former interior minister to life in prison for their role in the deaths of protesters during the Arab Spring uprising in the country. But the panel acquitted six security officials linked to the shootings. June 2, 2012  Crowds erupted with joy and anger Saturday after Egypt's former president was sentenced to life in prison for his role in protesters' deaths. Many Egyptians hoped Hosni Mubarak and his interior minister would face harsher sentences. 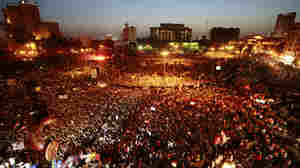 May 28, 2012  Official results from the first round of Egypt's presidential election were released Monday. And, as expected, there will be a run-off between the two top vote-getters — Mohammed Morsi of the Muslim Brotherhood, and former Air Force Commander Ahmed Shafik, who was Hosni Mubarak's prime minister during last year's revolution. May 24, 2012  Voting in Egypt's first free presidential election wrapped up Thursday and ballot counting began. If no one wins a majority, the contest goes to a run-off next month.